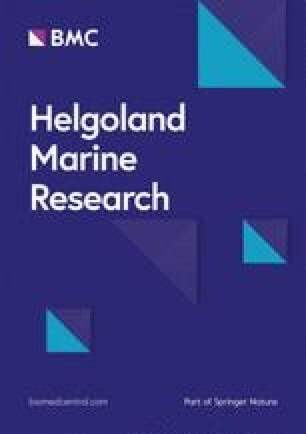 The fauna associated with hard bottom mussel beds along the exposed Pacific coast of Chile was examined. The abundance of adult (>10 mm body length) purple mussels Perumytilus purpuratus varied between 32 and 75 individuals per 50 cm2, and their biomass between 4.8 and 8.6 g AFDW per 50 cm2 at eight sampling sites between Arica (18°S) and Chiloé (42°S). At all sampling sites, the associated fauna was dominated by suspension-feeding organisms (cirripeds, spionid and sabellid polychaetes, a small bivalve) followed by grazing peracarids and gastropods. Predators and scavengers also reached high abundances while deposit- and detritus-feeding organisms were of minor importance. The majority of organisms associated with these hard bottom mussel beds feed on resources obtained from the water column or growing on the mussels rather than on materials deposited by the mussels. This is in contrast to the fauna associated with mussel beds on soft bottoms, which comprises many species feeding on material accumulated by mussels (faeces and pseudofaeces) and deposited within the mussel bed. Many of the organisms dwelling between mussels both on hard bottoms and on soft bottoms have direct development, but organisms with pelagic development also occur abundantly within mussel beds. We propose that species with direct development are disproportionately favoured by the structurally complex habitat with diverse interstitial spaces between the mussels, which provides ample shelter for small organisms. We conclude that mussels on hard-bottoms primarily provide substratum for associated fauna while mussels on soft bottoms provide both substratum and food resources.